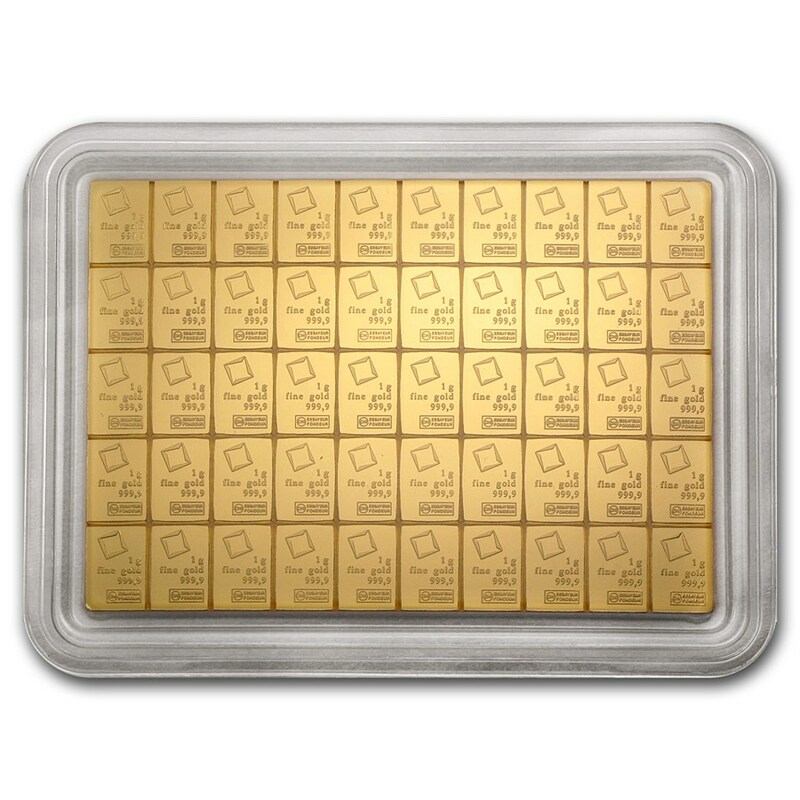 Contains 50 grams (1.6075 oz) of .9999 fine Gold. Individual bars are presented as a single unit in a sealed protective assay package. 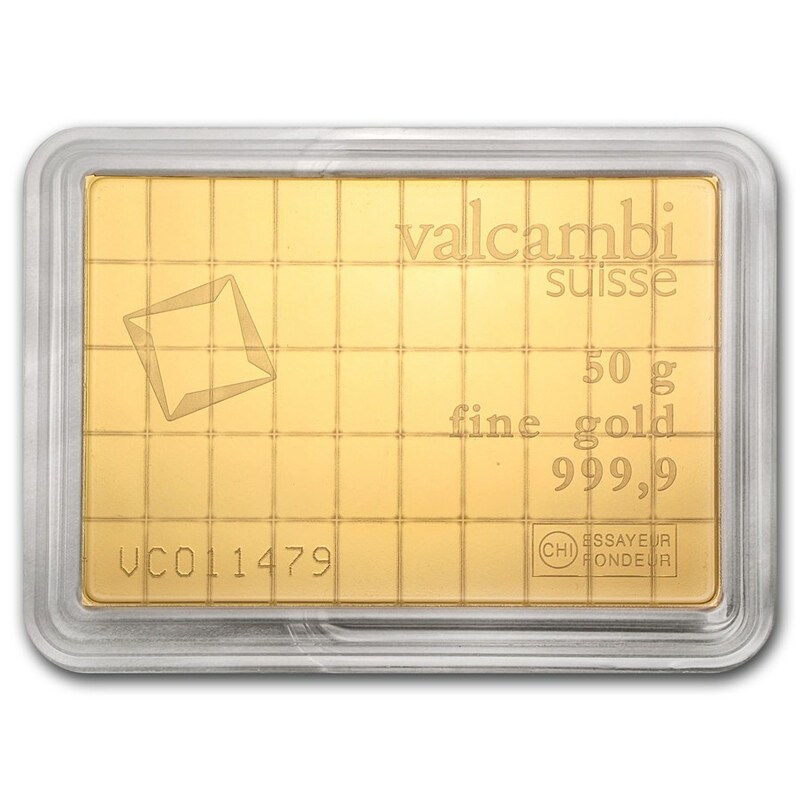 Made of exquisite quality, these .9999 fine Gold bars are produced by Valcambi, which has origins of more than 50 years ago in Switzerland. Add this one-of-a-kind Gold CombiBar™ bar to your cart today!